Join us in welcoming spring by kayak and start your paddling season with Multiadventures in Färnebofjärden National park. We make the most of the spring flood and paddle in among the trees in our own ” Nordic mangrove” of alder, goat willow and aspen. The water is still cold making balance and handling the kayak more important. Therefore this tour is for those who have paddled before. If you are unsure please contact us for more information. In case of strong winds or heavy precipitation the tour will be postponed/canceled. Price: 350 SEK/person. Payment by cash or Swedish mobile payment “Swish” on site. Kayak, life jacket, paddle , spray deck and guide is included in the price. Limited number of kayaks. Bring along: Clothing in accordance with the weather (hat and gloves are recommended), spare clothing and towel. Preliminary meeting place : Edsviken beach/Tegelbruket. May be changed depending on the spring flood. Dusk is one of the best times to see many of our wild animals, including beavers. 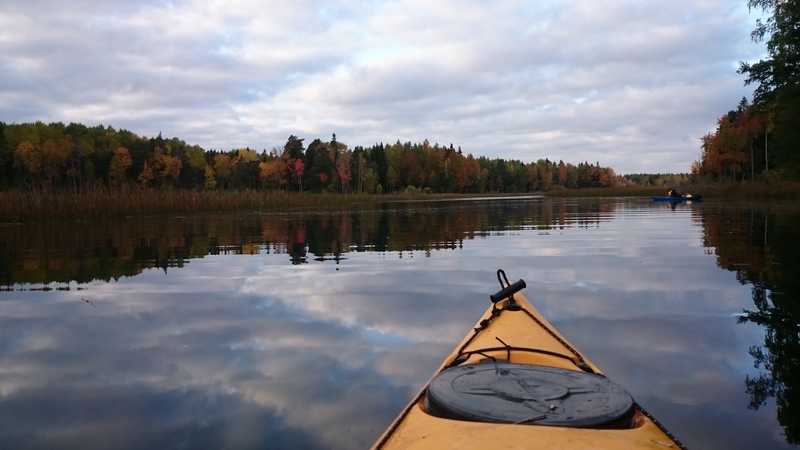 In single and double kayaks we will quietly paddle out past beaver lodges with the hope of seeing Castor fiber stealthily swimming through the water. This is a 2,5 hour long guided paddle tour in or in the near vicinity of Färnebofjärden National Park. We take different routes depending on wind and and overall weather, starting at Ista. Dates and times: No set dates. Please call or email +46(0)73 24 37 821 or info@multiadventures.se to book your tour. With winds expected to exceed 6m/s or thunder the tour will be canceled or postponed. Kayak, life jacket, paddle, spray deck and guide are included. Bring along the following: Headlamp, clothing suited to the weather, spare clothes and towel, binoculars if you have a pair. 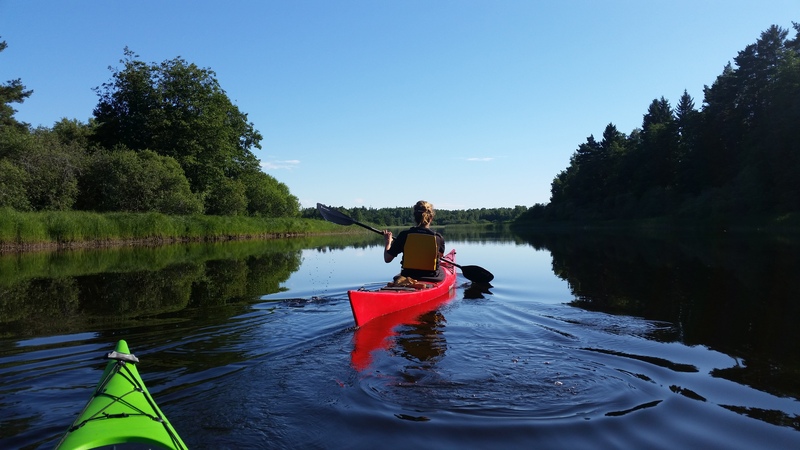 Have you been wanting to tryout kayak paddling but haven’t gotten around to it yet? 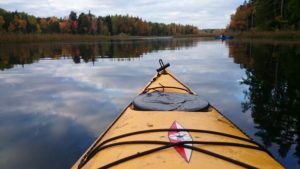 Here is an opportunity to paddle with a guide where we focus on maneuvering the kayak and feeling confident on the water. 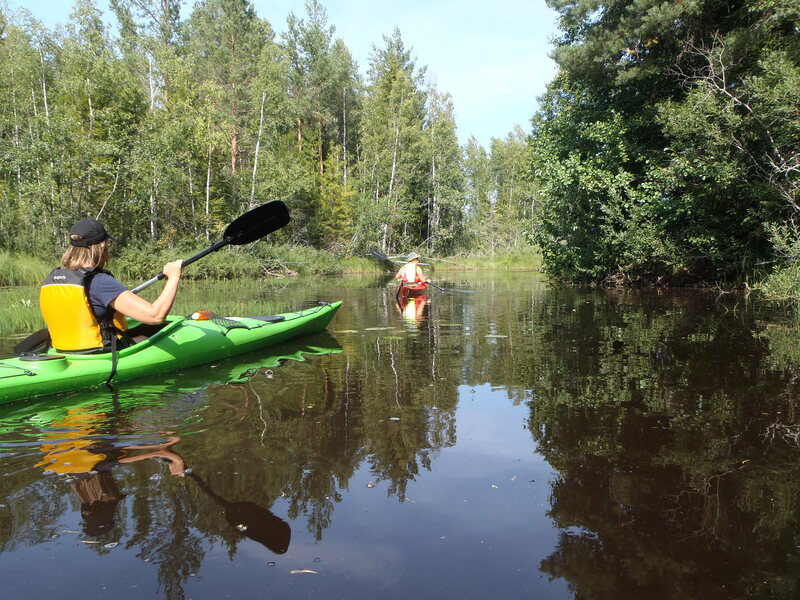 We will keep an unhurried pace and paddle in beautiful surroundings in Färnebofjärden National Park. Bring along the following: Clothing suited to the weather, spare clothes and towel. Come along on a day tour in Färnebofjärden National Park. The tour will take 5 hours with an estimated 3,5-4 hours of paddle time. During the tour we will stop for lunch and a coffee break with food that you have brought along. This tour is suited for those who have paddled a few times before and are in reasonably good physical shape since the tour is slightly longer. 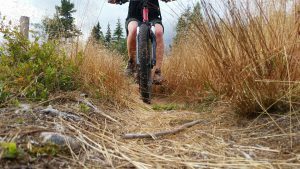 Multiadventures also offer multi-day and multi-activity adventures. For example combined bicycle and kayak trips including over night stay in tents. For your own custom trip please contact us, we are more than happy to help you plan your next adventure.